What’s the worst part about termites? It’s the fact that more often than not, you only realise you’ve been living alongside them after they’ve infested your house and turned the framework to mulch! Termites cause more damage to homes in Australia than fires, floods and storms combined and unlike these natural disasters, termite damage isn't always covered by household insurance. 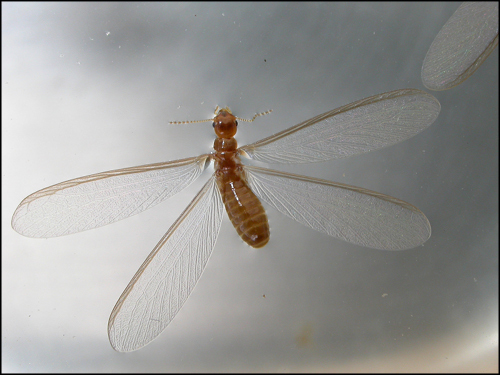 The best way to arm yourself against termite damage is by understanding what attracts termites to your house in the first place and being able to recognise the early signs of infestation. When it comes to termites, prevention is a helluva lot cheaper than a cure! What clues can I look for to know if I have termites already? Mud-mound nests outside, in crawl space and basements. Termites feed on timber and other cellulose material such as newspaper, and they’re particularly attracted to warm, damp and dark places which is why the internal structures of houses tend to be termite-nesting destination No. 1. Termites love moist soil, which means that houses with retained moisture in the ground are more likely to get infested. Several factors can lead to retained moisture in the soil around your house including bad drainage, waterlogged areas, broken taps or faucets and poor ventilation. Internal leaks are a major cause of retained moisture. Leaking taps, showers or pipes are likely to cause moisture and chemicals to start collecting in the soil under your property. In cases where the roof has leaks that are in contact with any kind of timber structure, the moisture can cause the wood to decay which is very enticing to termites. If there are any flaws in the construction of the house, such as cracks in the concrete slab or gaps in joints, it can provide a convenient entry point for termites. Older homes built on piers should have a metal ‘ant’ capping installed to act as a barrier between the pier and the timber floor framing. This ensures that the termites build their nests on the metal and not inside your framework, making them easy to spot and remove. Good quality houses are built in a way to ensure that termites don’t get inside, especially without being noticed. Houses that are built on piers often have metal capping to make any termite activity visible but often the piers are blocked from view by debri or goods in storage. Homes that are built on concrete slabs where the edges of the concrete slab are covered by soil or plants could be in trouble. A visible edge allows any termite trail marks to be seen which in turn makes it much easier to find and fix the point of entry. Properties that have soil or plants covering the concrete edges provide termites with a convenient route straight into your home, shielded from sight. These pests can be a menace to both the outside and the inside of a house. By maintaining your property to ensure that there is no water logging, dampness, or gaps in the structure you can greatly reduce the chances of termites nesting in your property. Get rid of any stumps, roots and other debris lying around. Avoid using wood/newspaper for garden mulch. If termites are found, flooding a region can help kill them off quickly before calling a professional. 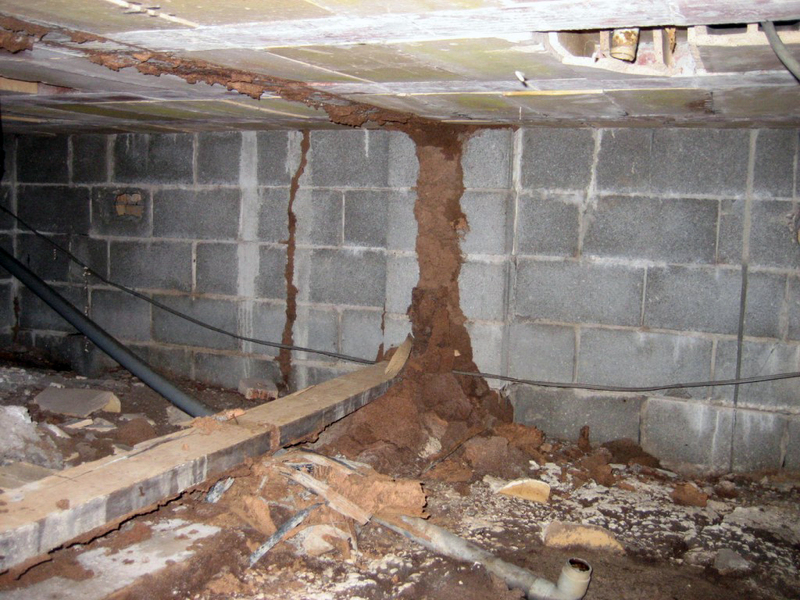 If you suspect you have termites, digging down into the soil can uncover a nest/subterranean tunnels. In cases where termites have already set down some solid roots, they probably won’t be deterred by localised treatments, the best thing to do is call a professional and get your home treated ASAP. A good pest control company will also help you create a termite prevention plan to ensure you don’t have to have a second infestation. A licensed technician will help you analyse the situation thoroughly and take care of any possible entrances to your home. Thanks to Muzi Tsolakis for contributing the great tips featured in this blog post, Muzi is the founder of Protech Pest Control, a trusted name for termite protection and pest inspections in Melbourne.